It’s official now; it’s not Mysskin but KSR who will direct Kamal in his next project. This brings down the curtain on the very many rumors speculating in the industry. This short-term venture will go on floors in January 2010 and is likely to be released in August 2010. To be produced by Udayanidi Stalin, this as-yet-untitled comedy flick will be Kamal’s next after the critically and commercially successful Unnaipol Oruvan. 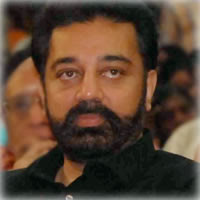 We hear that Tamannah is expected to play the lead opposite Kamal. It’s also learnt that the Punjabi lass has already reserved her dates to make room for this Kamal – KSR venture.